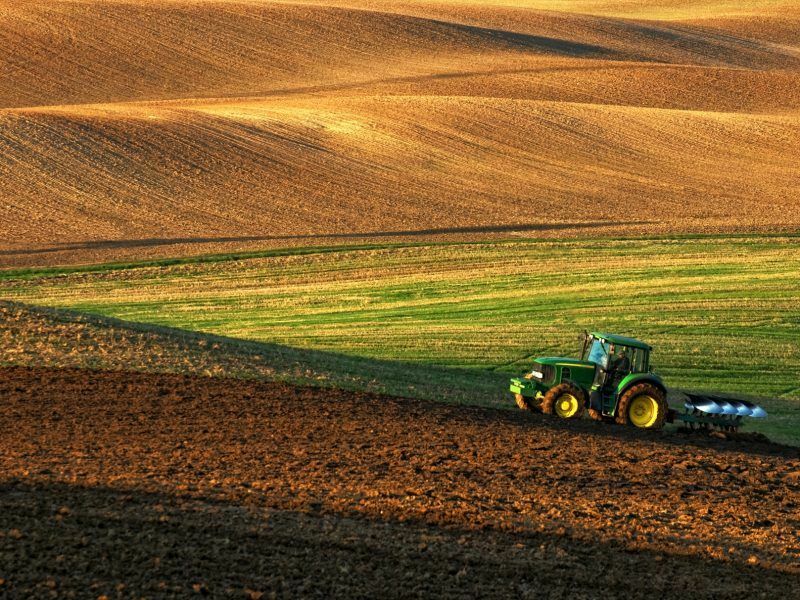 The European Commission has proposed to cut the budget of the post-2020 Common Agricultural Policy by approximately 5%, but has prioritised the direct payments pillar in order to ensure farmers’ income and leave smallholders unaffected. The Commission presented on Wednesday (2 May) its much-awaited proposal for the Multiannual Financial Framework for the 2021-2027 period. According to the executive, the CAP will have €365 billion funds to manage, which represents a 5% cut over the previous period. For the second rural development pillar, which is considered the driving force for the modernisation of the EU farming, the Commission proposes to increase national co-financing rates. 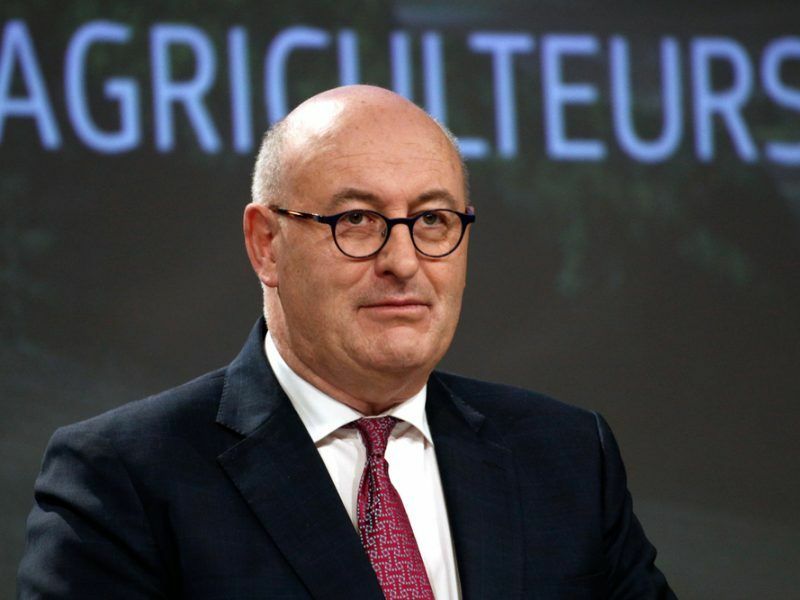 In a statement, EU Agriculture Commissioner Phil Hogan said that he had taken into account the farmers’ concerns about the direct payments as essential income support. Speaking at a press conference today, Commissioner Hogan said 16 member states will see a 3.1% reduction of direct payments, in another six, the reductions will be below this number, while five will see an actual increase (eg. Estonia, Lithuania, Latvia increase 13.6%, 13.2% and 12.3%, respectively). In Romania, Slovakia and Portugal there will be no decrease, while in Bulgaria it will only be by 1%. But regarding the rural development, the Commission proposed a 10% cut, and then it will be up to the member states to cover this gap. Hogan cited Belgium as an example, saying that we are talking about 12 million euro annually, in Ireland 47 million and in Spain 180 million. “If a member state decides to move on to cover the gap, there will be no cut in rural development and farmers won’t be affected,” the Commissioner emphasised. The Commission also wants a “more balanced distribution of payments” through compulsory capping at the farm level or degressive payments decreasing with farm size. The payments for each farmer will be capped at €60,000 while the savings will be redistributed to smaller farmers. “This means support will be redistributed towards medium-sized and smaller farms,” the Commission noted. The executive also reiterated the need for a new delivery model based on results, as stated in its communication last November. The Commission believes that through this new model, the system will be more flexible and simplified as member states will set up their own plans adjusted to their needs accordingly, which will eventually lead to a result-oriented CAP. 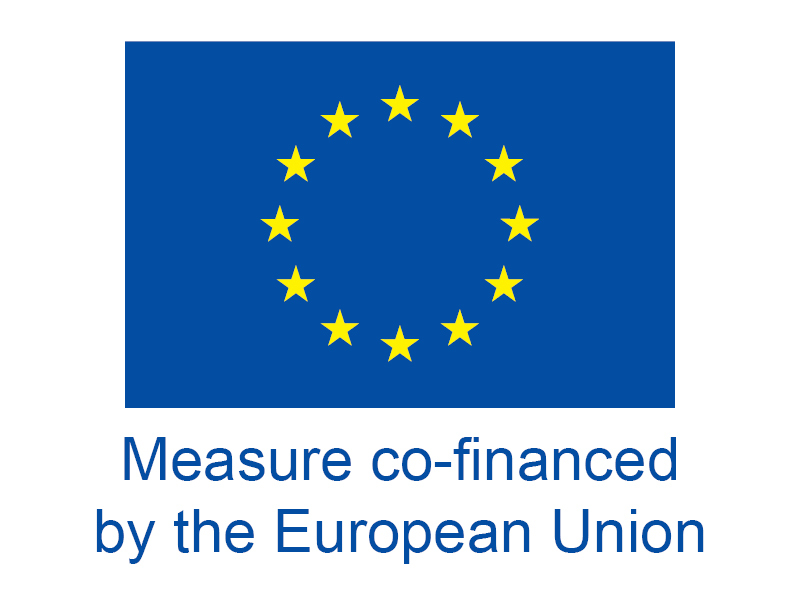 The Commission also decided to earmark €10 billion in Horizon Europe for research and innovation in food, agriculture, rural development and the bioeconomy. As far as the risk management tools to stabilise farmers’ incomes, which are exposed to price volatility and other factors, the Commission wants the creation of a new crisis reserve “to address crises generated by unforeseeable developments in international markets or by specific shocks to the agricultural sector following actions undertaken by countries outside the EU”. “Support for risk management tools including income stabilisation will need to be introduced in the strategic plans,” the Commission said. 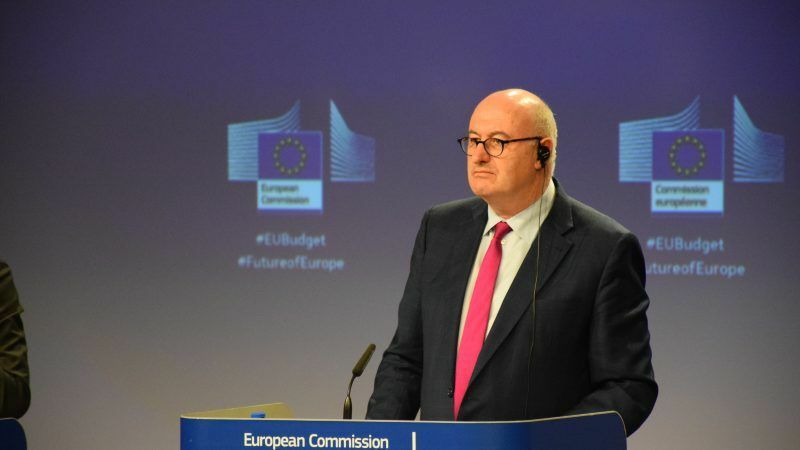 EU farmers should not fear a “re-nationalisation” scenario for the post-2020 Common Agricultural Policy as the Commission is set to give member states more powers to implement their own CAP national plans, Agriculture Commissioner Phil Hogan told EURACTIV. 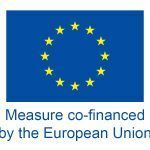 The EU farmers and cooperatives’ association, Copa and Cogeca, said it disagrees with any proposals to cut CAP spending in the future EU budget. “Farmers’ incomes are already 40% below average EU earnings in others sectors of the economy. The proposed budget cuts threaten not only farmers’ livelihoods and vast parts of Europe’s rural areas but also the delivery of the EU’s environmental and social goals,” said Copa President Joachim Rukwied. Cogeca President Magnusson stressed that the current budget costs each EU citizen less than a cup of coffee per day and in return ensures high quality, safe, nutritious food for 500 million consumers and contributes to environmental protection, growth and jobs. But EU farmers hailed the Commission’s proposal to increase funds for research and innovation expenditure in agriculture and bioeconomy. “We, farmers and agri-cooperatives, are ready to play our part in it,” Copa-Cogeca said. Greenpeace issued a statement accusing the executive of leaving the environment “in the cold” by removing CAP environmental funding, currently 30% of direct payments. “It’s shocking that the Commission hasn’t ring-fenced money for environmental protection in the EU’s direct payments to farmers, especially considering the damage done by industrial farming,” Greenpeace EU agriculture policy director Marco Contiero said. “The EU was already lagging behind in its commitments to tackle climate change, water and air pollution, and environmental destruction – to have nothing set aside to address these failures in its single largest expenditure is unacceptable,” he added. EU farmers are calling for a simplified Common Agricultural Policy that will provide security for them to invest in their business and make a profit. Can the next CAP ensure a healthy and profitable business environment in the farming sector? 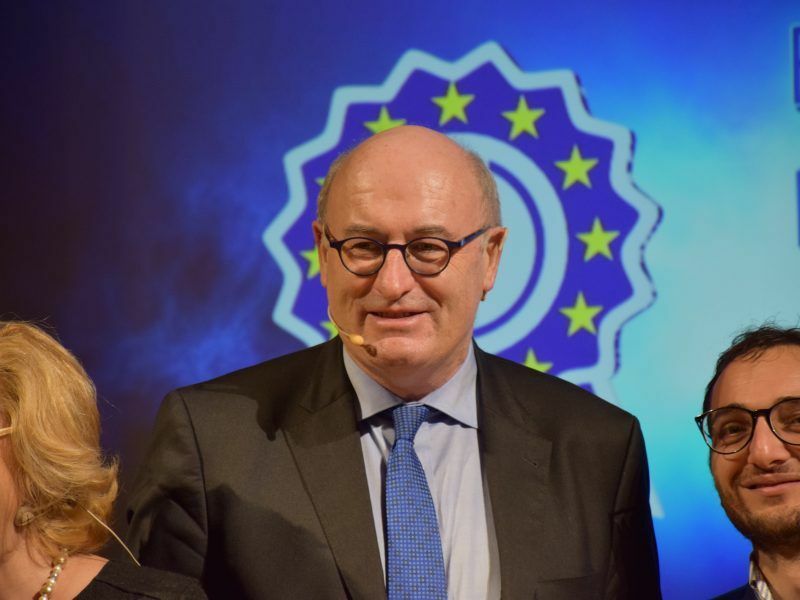 European farmers should invest in post-2020 agriculture as it will be less bureaucratic, more focused on “technology breakthroughs” and will improve their standard of living, EU Commissioner Phil Hogan told EURACTIV.com.